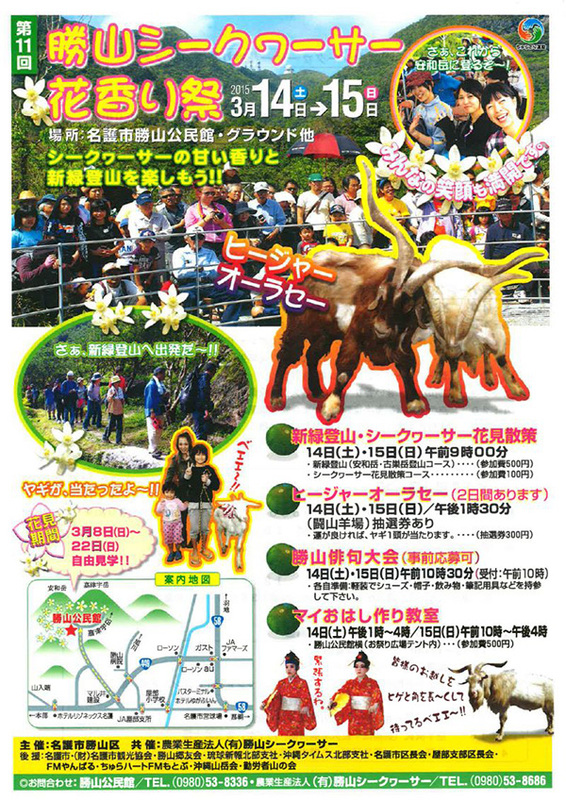 This is an annual community festival held in Katsuyama, a district of Nago City known for its shikwasa production. The festival offers visitors the chance to see the lovely white shikwasa flowers blooming, filling the air with the sweet, refreshing scent of citrus. The main highlights of the festival are thrilling goat fighting matches held in the field at the community center.